So what is the secret behind it. I am going to tell you in this post. This is really wordy and detailed. I am not obsessed with my Alexa Ranking. I didn’t even pay any attention I just took a glance at Alexa at once in a week. I was focussing on bringing quality content to my readers & blogger friends. Second, I have decided that I will work more smartly in blogging to get more success; I will never depend on Alexa I will try to give my best to my audiences who is coming to my blog for some resourceful information. I have seen many bloggers just work on their Alexa Ranking so that they can their earn from blog or have some handsome advertising. I know this is a reasonable option but it should not be your motive. As my Alexa is now very good, I get many advertising offers. but currently I am not in mood to put any advertisements. Right now my focus is to learn from my blogging journey. I am eager to learn from blog that is my sole motive, earning money is secondary. In my opinion Alexa rankings are wildly unreliable for all blogs, but for the top blogs (which alexa admits themselves). If you need high Alexa ranking you need to work very smart, if you do then you are awesome.You should not make Alexa your success factor although it is important but it is not everything. I have seen top webmasters whose Alexa ranking is not good but they are very smart & passionate making money in 7 figures.. 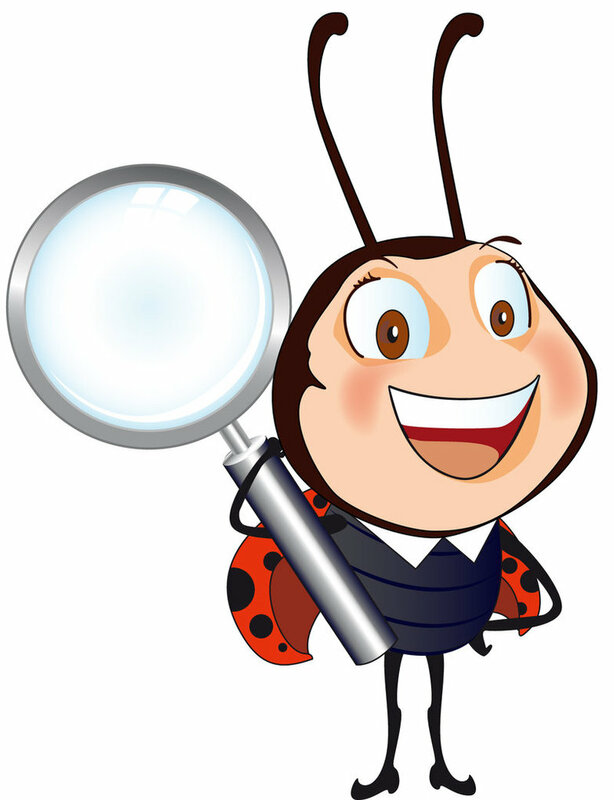 They are able to answer many Google queries that users are looking for. So your aim should be like that your website or blog is able to answer users query, it should solve their purpose. So in the beginning I have worked very hard in blogging, I have faced many botherings in beginning, when I purchased this domain I was little scared that will I be able to get it under 100k, will my blog be successful like other bloggers. But finally I made it!!! Social media Sharing is important!! I used to share my each & every on post on top social media websites, this help me to reach my posts all across the world. Yes social media sharing is very important for any blog success. If you don’t share your post on social media then how will audience know about your blog? As a blogger you need to maintain good relationship with other bloggers around the world. Yes this is very true for every blogger to get success in his/her niche; you need to have very good friendship with other bloggers. They help you to drive better results. By maintain cordial relationships you can surely achieve success in blogging in short time. This is my secret too; I have maintained very good bond between my blogger friends and also my friends, colleagues & co-workers. After all they are my blog’s blood. By having blogging relationships you can also increase your blog traffic easily at a fast pace. I have been adding many folks of my niche on Google+, Facebook, twitter & other social media sites. This help me to fetch good amount of traffic. Always try to get feedback or suggestions from your blogger buddies they will tell you what is lacking in your blog. They will give you suggestions to improve your blog. I have always done this and I am very satisfied suggestions given by them. Remember in mind they are your blog readers if your don’t satisfy them they will not be your guest. So always try to take feedback’s in a positive way. It will nurture your blog. Yes, in beginning of blogging journey I was not much aware of WordPress blog settings & other stuffs. So my friends help me in this case. I would like to mention my 2 friends who help me in making my blog better. Chirag Dodiya is owner of lab.plorez.com. This man is definitely blogging star; he is only 19 yr old and is having pretty good knowledge of blogging & SEO. He is also aware of coding, can do coding juggling easily. Ankit Singla is owner of bloggertipstricks.com, he had help me in the journey of blogging, whenever I was having some query regarding SEO , he used to reply me quickly. His answers were very genuine and he was always ready to assist me. I would like to thanks these guys with my whole heart!!!! You guys are gem in blogging & internet marketing world. Get reviews on Alexa for your blog. Though for my blog I have only 1 Alexa review, honestly I never ask anyone to write review for my blog. Because I don’t think this is the right way to do it. Although I can do this easily as I have many friends. But if you want to rank higher rankings on alexa.com , never write fake reviews. Alexa takes websites very seriously so never think for writing a fake reviews. Alexa Rankings can only increase if you apply the proper resources for your blog or website. SEO is very important for any blog to get success. Proper SEO tactics can help your blog to get under very good Alexa ranking. You will rise like a king if you have proper SEO implementation on your blog. Always follow Google Guidelines for SEO. SEO or search engine optimization is the process, which involves in enhancing the opportunities for blog, content or other things to be found by people using the search engine. There is no need to worry; it provides organic traffic, which will benefit you in the long run. However, there are some folks who find it hard to utilize SEO services and end up wasting time online. If you are one of them, then there is no need to be worried anymore. In order to gather enough information about it, all you need to do is scroll down and learn about some essential facts about SEO with ease. Without any delay, let’s get to our list of things, which you need to know about SEO. Content is king. Content is an imagery stuff, Content is videos, sound. What is content? Well, content is stuff, which is mainly indexed by the search engine. The entire interweb thing is roaming around content. According to some people, the content is king because it is the ruler of the virtual world as well as the SEO game. As we know that there is a variety of search engine available such as Yahoo, Google, Baidu and many more. Most importantly, they are generally used to locate beneficial content to read, but due to excess of content, some people are unable to gain knowledge in the perfect manner. Additionally, in order to overcome these sorts of problem SEO services commenced, which allows users to grow their website to the top and share your knowledge easily. With the enhancement in the demand for SEO, it has become a business, which helps to maintain user’s website in an appropriate manner. If you are thinking to start an online business, then it is advisable that to consider few factors before choosing SEO company. Some of the essential facts are given below. So, read it and move around without making too much effort. First of all, you need to calculate your budget and for what purpose you want to hire an SEO company. There are several sorts of services offered by the SEO such as content boosting, website boosting, and many more. Choose one of them accordingly and gain success without worrying about anything. Afterward, the most important factor is a price. There are lots of people who find it hard to spend too much money on the website. That’s why make sure to set budget and then take another step towards success. How To Boost Your Content Through Social Media? Furthermore, there are some people who find it daunting to use social media for enhancing organic traffic. If you are one of them, then there is no need to be troubled anymore. You have come to the perfect place. Here, potential folks will learn enough information about increasing traffic through social media such as Facebook and Instagram. Let’s begin with Facebook and understand the stuff to attract potential people toward the site with ease. In order to lure traffic via Facebook, all you need to do is make an FB Fan page or any topic related one. On the initial point, you will that there is no need reaching your page and as mentioned earlier “SEO is not free”. For that, you need to spend some amount of FB page boost option and wait for some hours to grow hundreds of thousands of per hour with ease. Make sure to always post something about your site on it and inform people about your stuff through it. After attaining the enormous amount of like on FB page, now you can post your blog on it and share. Wait for a while and check out your organic traffic. Most importantly, it is recommended that not to post any reckless or adult stuff. If someone one report about it, then your page will be blocked. According to FB page rules, users are not allowed to post any sorts of adult or 18+ content on FB. If they still try to post it, then they will be banned for a long period of time. So, it is better to follow rules and move forward with ease. Start using SEO content now and attain traffic in huge amount easily. I would like to here your success stories, what have you done in your blogging career, how you got your Alexa under 100k in few weeks. Share your best tricks, experiences and ideas if you have in the commenting section. Well this is how I got my bloggersideas under 100 in just 45 days with 2 – 3 hours of blogging, as you know I have my job also. I work in a MNC company. I am part time blogger. But blogging drives me crazy & I always try to learn from it. This is my success story of Alexa Rankings. Hi Ryan , thank for wishing me , I am very glad that you guys are with me. Yes getting feedback from other always help us to make blog better. So build good relationships and blog can touch the sky soon. this is my secret of success :). Yes indeed, Alexa alone is not everything, but people do use it a measure to rank or judge or weigh your post, so in those people’s eyes – it surely is something great. However, with Author Rank and Moz rank there – I think as compared it’s all that important also. Yet again, for those who believe, all these ranks do matter. I honestly never believe in all such ranks and updates either. In-fact when my PR went from 2 to PR3 – I never knew for a long time, till someone pointed it out and told me. I think what matters most is that you tread your path well and write quality content that helps others in the right way – the rest will be taken care of, isn’t it? Harleena I am very glad that you wishing me success. I really liked that. Keep on wishing me and I am very happy that you are with me in this journey !!! Yes Alexa ranking is not everything, we have to do lot of thing regarding this. To make blog more successful we have to make great connections with audience. They are very important part of our blog. PR is more important but Google had crashed our dreams by not updating PR toolbar. Glad to see that your Alexa ranking is so low. To tell you the truth, I really don’t pay any attention to mine…so I couldn’t tell you what mine is. But I have realized since I started blogging how vital it is to build relationships online with other bloggers. I have met some really nice people and learned a lot in my short journey online while blogging. I never used to take the time to get to know people, I was always so focused on SEO. But I really enjoy the relationship building method a lot better. Thanks for sharing this information and I hope you have a great day. Hi Susan , thnxx for stumbling on my blog, I am really glad that you like it. Susan relationships do matter in blogging, you need to have good circle in order to maintain blog readership, so share good stuff with your blogger friends, if you need any help just ping me I will be ready to help you. Thanks for sharing your experience here. When its come to Alexa people still confuse whether it is important or not. I have read some review that saying Alexa not display correct statistics and it is not that much important while other are sharing that how Alexa is important to your blog to get reputation. Your post has clear view about if anyone want to improve it he can use your tactics. It is a result of thhe fire communicated in the post I read. Dayss : My Success Story | Bloggers Ideas Bloggers Ideas. I was actually excited enough to drtop a thought 😛 I do have a couple of questions for you if you do not mind. Is it just me or does it look like like some of these comments look like they are coming from brain dead folks? Great job, Jitendra! Saw that you’re a member of Kingged.com. 🙂 Glad that you’re accomplishing something worth celebrating. Alexa ranking below a hundred thousand? Now that isn’t easy, so thanks for showing everybody how you did it. All these points apply not only to alexa rank but blogging success too. Alexa rank doesn’t define success of a blog but its still an important parameter in eyes of advertisers as well as readers. I have seen readers taking blogs with better alexa rank more seriously. All in all, if you work hard on your blog and write good quality content, then you will definitely drive good traffic to your blog which in turn will improve your blog’s alexa rank too. This is really a BIG BIG achievement and I appreciate that. When I start BTT, I was lack with knowledge and still it takes me only two months to get this stats but you really did a gigantic job. Hi Wahid , You will soon improve just keep on working on your blog, offer valuable content to your reader they will be more happy and will like to read your blog always. Yeah, I agree with your natural attainment of great Alexa rank in short period. I believe that consistency in blogging, social signals and the depth of the blog posts would help us to get good Alexa rank. Glad to hear that you’ve got helped by Ankit bro, no words to ay about his helping tendency. I really like his passion in blogging and worthy blog posts. Indeed a very good , informative and worth reading and implementing post. I learnt very much from this post and the newbies will surely learn. Keep writing dude ! I am very happy lucy that you like this post, I hope my blog is helping newbies like you. Thanks for sharing such a great tips. This is really a motivational article. Congrats… really very helpful post. I wish I can also make my blogging dream come true. Congrats on you Alexa Ranking! To be honest I never really paid much attention to my ranking before today but after reading this I think I might have to look closer!Thanks for the list of places where you share your blog I am always looking for a new community but I never know where to start. 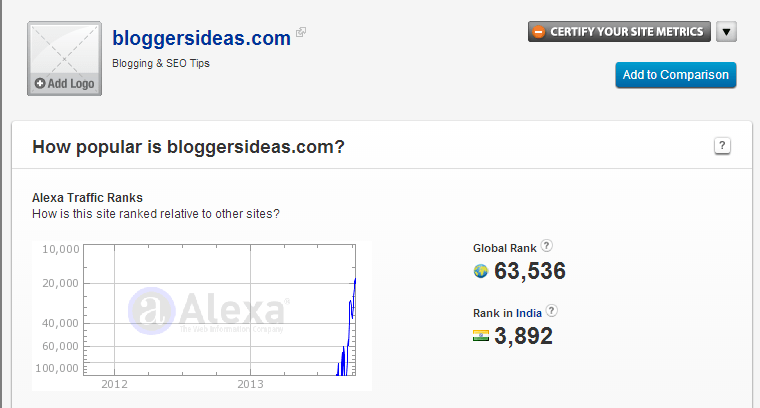 Congrats jitendra for getting your blog below 100k alexa ranking keep up the hard work buddy. Congratulation on that. It looks good indeed and keep it up! Personally I don’t really care about Alexa ranking. I only care the number of sites linking in. Haha! Even though Alexa gives us a simple guideline, I feel they are using some sort of algo to do that. Not sure how it is calculated but it seems like they are taking 3 months duration traffic as a base. Thnnn Reginald, Me too dont care abt Alexa I just care about quality content !!! Alexa ranking does not particularly impress me, though it would be nice to visualize that I am “playing the game”. Yay congrats,now your alexa ranking is just around 1000 in India 🙂 Happy for you ! From my personal point of view, Social sharing and blog commenting improve alexa ranks faster then other SEO techniques.Other factors you mentioned should also be considered for the same.But I used blog commenting and sharing to improve my alexa. Really great and ultimate post for us. Thanks for sharing. thanks for the help regarding social media exposure I now know of a few more websites I can just post to to get more traffic, thanks! Alexa Ranking under 100000 in Just 45 Days. Wow ! Just Wow ! Thanks for this wonderful article on improving alexa rank. but SEO tactics are very hard to reach. i use keywords, h tags, but i don’t see difference!! Thanks for sharing such a nice article.I will start working on your tips mentioned. I found these really helpful. from too many days i searched about the alexa ranking on google, i found your site on my mobile , after that i open in my laptop, i read the full article , i learn too many things from this article, bundle of thanks dear for this great article. Great post! Bloggers shouldn’t focus on Alexa Rank just focus on creating quality content. very Informative Post, as a New comer blogger this Article is give me good knowledge about Alexa Ranking and this a very strong part. This past 3 weeks my website has dropped from 12.9m to just over i million, as I have not updated or added anything for over 7 months. Receive only 15-20 visitors per day at present, although my website is 4+ years old. Only blog commenting till now. Social media? Signed up for accounts on social media and will be joining groups and continue blogging daily. Wrote an Alexa article showing how the Alexa metrics could be used in mathematics and information technology lessons. Moved over to wordpress and seen a big jump lower Alexa ranking as my other website software had seo issues. Redirecting hundreds of links and changed many duplicate title& meta tags. Will use some of your idea for lower Alexa ranking and gaining more visitors. Congrats really very helpful post. I wish I can also make my blogging dream come true. Informative article…I am applying above mentioned tips on my first blog http://www.bloghours.com and I hope that I will get 100k withing 45days. thanks with these tips to improve my website. i am having a tuff time on my blog and not sure which mistakes i am making. though these tips you provided will helps me some manner. Present my site alexa rank is 45k, I’m searching for the tips which are helpful for me to increase my site alexa rank and finally I found those tips in this blog…. Brother i understood your article very wells its awesome but how to keep relation with other blogger in my area no one even knows what blogging is so can you help me with that. Nice post. Even, I don’t like the alexa toolbar. I preferred alexa toolbar only and regular visiting to my blog. Really it helps to increase alexa rank quickly. I have installed alexa toolbar and i visit other webmasters blog with alexa toolbar installe3d and i comment there so they can comeback to my blog and make a comment so that way i have a unique visitor on my site. Which decreases alexa rank more. google search results decreases alexa rank fastest. your Current alexa rank is 10811 keep it up.. I want to see you near 3000. Nice post ! i’m going to apply these tricks on my blog, links from tech blogs is also important for alexa ranking ? Thanks for sharing this informative post. it will really help to boost our Alexa rank. I am currently working on E-commerce portal, our Alex rank is above 1 lakhs. i am trying to reduce rank below 1 lakh. But this is really hard task for me. please give me suggestion what can i do ? Hey Sagar try to share your content in blogging communities this will help you to reduce your alexa quickly. Hello Bro!! I am only 15 and just start blogging 2 months ago.But I wast unable to maintain consistency in my blog posts. But now have again started blogging from 3 days back.Will I be able to make it in 100k ? ?Wanted to know how much time will it require 🙂 Please reply !! I think you have helping tendency!!! I had a very basic question about Alexa rankings. Are they calculated only through the traffic received by the blog or do they also consider the backlinks and other seo factors as well? 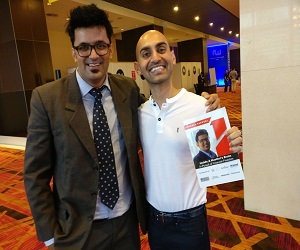 Congratulations dear Jitendra vaswani, of course it is very hard to be successful in internet business. but hard work is only key to success. your tips for getting quality traffic to the site are awesome and for sure i will try this for my site. Very insightful article, suggesting practical solution. I did manage to add Alexa Ranking code to my blog after reading this article. But still not manage to get ranked in Alexa. One query – I’ve used WordPress to configure the domain name with www for my blog. But when I searched my blog from Alexa, it picked the blog domain name with out www. Can this impact the Alexa Ranking for my blog and could this be confusing for Alexa? Hey Harsh, Thanks man. It will not impacting ranking of your blog. sir thankyou for sharing the great idea..it will really helpful for us. Thankyou so much man. Tank you very much for sharing your rich experiences on Alexa rankig. My Website crazycouponworld.com Alexa rank also improved a lot by following some of the above tricks!!! Enjoy!! Hi Jitendra, I really want to appreciate you for writing this wonderful long article. It really helped me alot in increasing my blog rank. This is so inspiring man. I’ve just started my blog and saw this post! Great sharing !! First of all, i would like to congratulate you from the bottom of my heart for the great achievement in such a short tenure. Your honest and priceless effort paid you huge as far as Alexa traffic rank is concerned. Yes this is true for all you write. I also do all that and finally achieve the rank of in between 9 lakh to 10 lakh. But now I do not understand why my Alexa ranking is growing daily at large and it has reached above 1200000 within 5 days only as my website visitors are growing. Wow! Lovely tips listed here. My focus has always been on my alexa rank daily. I think i’ll listen to your points and give them a trial. Hope to get there someday. That’s a great post Jitendra. Really inspired and will follow your guidelines specially social sharing would be a vital point as people love to share useful content on social media. First of all, I would like to congratulate you for this big achievement. Yes. I do run two blogs where I don’t focus on alexa ranking. I get reasonably good traffic. I hope better alexa ranking by improving site quality and user engagements. Well done bro, you are such a good writer . And these tips are really helpful for me. The way you have explained the points, I have come to know how you have worked hard and accomplished your goals. I will also do the same .As you have shared you are sharing quality contents, I will share quality deals and offers for benefit of my readers, and definitely attain success. Keep writing good posts. You will surely be at good rank soon. Wish you very best. alexa rank is really important and the tips you have provided are very helpful. I will use these tips to get a better rank for my blog. Thank you, Jitendra. Thanks a lot to share. Keep sharing. Sorry i might sound silly….but i need to know this. 45 days from the launch date? Thanks for the ultimate guide on Alexa Ranking Sir. Thank you for sharing this useful information regarding alexa ranking . This really helps us to revise and improvise the digital marketing methods implemented on our website. It’s really great and informative and motivative. Thanks for sharing such a great tips. This is very useful content for all website owners . Firstly congradulation for your success. Wish you grow up more. You do not talk about backlinks. Are they not important for rank growing? Thank Jitendra for excellent Article. I like to visit here most of the time and I already bookmarked it. Awesome Article Its very useful Information. Initially of well done for the achievement of your blog and the colossal bounce in Alexa rank. I would doubtlessly endeavor to execute these straightforward tips on my blog too. Actually Alexa rank is vital to pull in sponsors to your blog. Excellent details and more importantly your honest view points give a lot of positive energy to newbies like me. It would be really great to know more on content marketing and social sharing from you. Hope to learn more from your blogs. Thank you so much, sir. I am struggling with my blog to get better results and get it on top. Also, i don’t know this much information which i need to get from your this article. I am going to utilize this information in making my blog successful ASAP. Once again thank you so much for your suggestions. It’s a really nice article Vaswani sir. I am glad to read this and surely going to optimize my website further according to this. Thanks to you.